Since Micromax Has released Kitkat Smartphones like Unite and Unite 2 , Micromax Has started Rleasing Android 4.4.2 Kitkat update for Some smartphones . Micromax is very late in satisfying their customers with latest software updates . Other companies Like xolo , Gionee and More indian Compnies has already rolled out their updates . 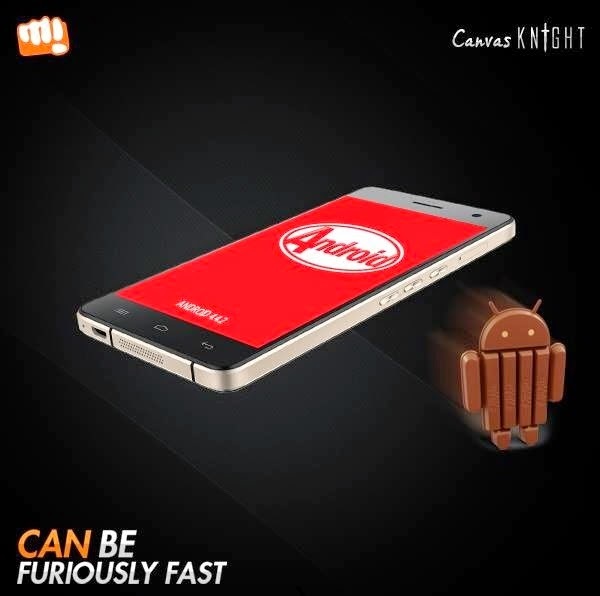 Even Google has revealed android 5.0 L .
Micromax Canvas Knight comes with 5 inch Hd display and has a 1.7 ghz Octa core processor with 2gb ram DDR2 and a 32gb of Internal Storage , which makes a phone perfect . It has a 16 mp rear camera and 8 mp front camera . 4. Now select Firmware -> Upgrade .